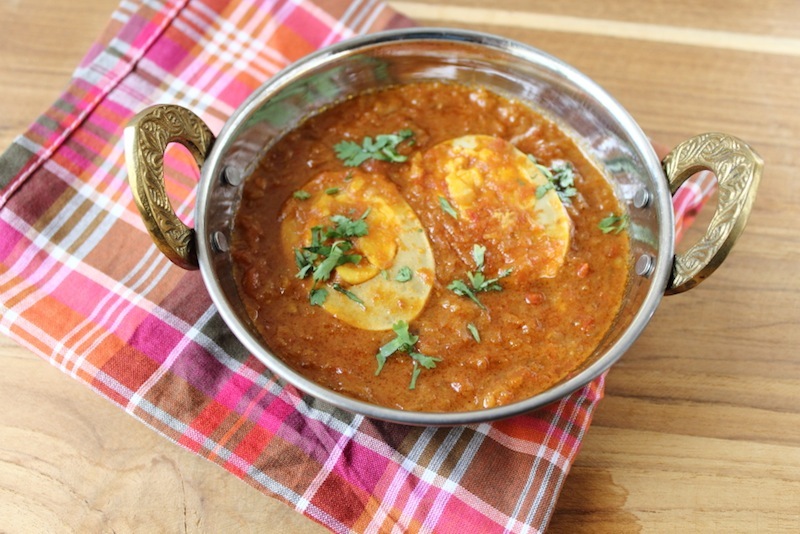 Egg curry is one of the staple dishes in my household. It goes well with Vellayappam (Rice Pancakes with coconut), Pulav, Dosas etc. 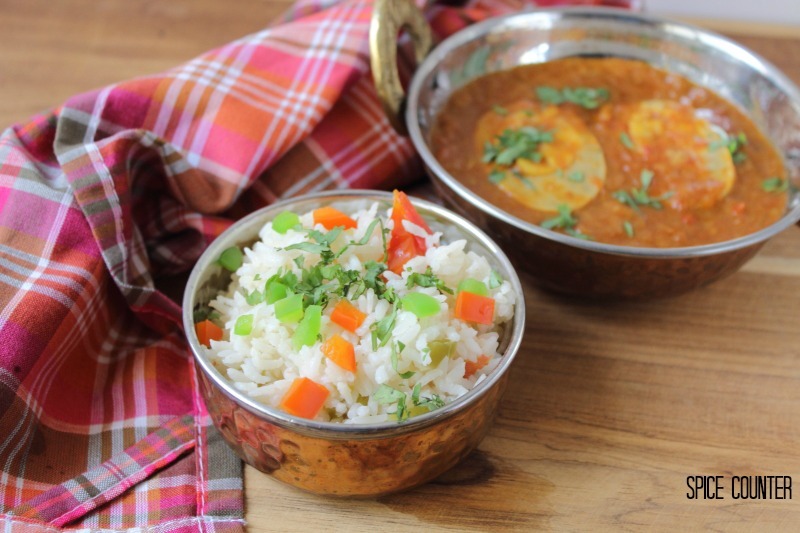 My personal favourite is the egg curry and the Sunday Pulav pairing. I make it most sundays since can be made in under 30 minutes along with the rice. Infact if you look at the recipes in my blog, you will find the dishes are moderately easy to make. Heat oil in a pan and add ginger and garlic . If you like the flavour of burnt garlic, fry it till it is light brown. Now add the onions and fry till brown. To this add the tomatoes, dry powders and salt. Fry till the tomatoes blends well in the mixture and oozes oil from the sides. Add water to this and once the mixture starts boiling add the coconut milk. Boil for about 30 seconds. Cut the boiled eggs in half and cook it in the curry for a minute or so till the mixture is soaked in the eggs.